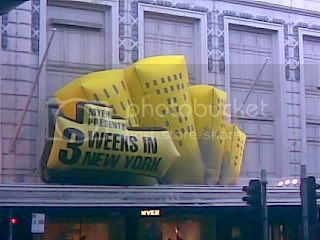 I don’t get the whole New York theme that Myer’s boldly marketing to Melburnians these few weeks. Why yellow? When I first saw it, I couldn’t help but think JB Hi-Fi’s somehow associated with the whole branding thingo.